I receive calls regularly from people that are in their final step to boat ownership; discovering and acquiring their ideal cruiser. They want my counsel. And occasionally, most shoppers do not have a true understanding of yacht values and the prices they demand. Most individuals are shocked to find vessels cost as much as houses do. They are occasionally dumbfounded when I try to rationalize the reasons a boat is priced so low. I want to furnish you a good idea of why they cost as much as they do so let’s begin from the top. On another pages on my website, you will observe about the absence of a Yacht Blue Book. Yes, that’s right, there is no such object. There is one for cars but not for boats. If you phone any used car dealer or bank in North America and refer to any production automobile, they will quote a value of within a few dollars of each. This is due to the multi-billion dollar, car selling process. And there is also the Powerboat Guide, NADA and others that like to sell you their variation of a Boat Blue Book. With over 15,000 yacht manufacturers (USCG Listings) represented in North America there is no such market for used boats and the older one gets the greater the price discrepancies. And recollect, that yachts are not built on an assembly line. I’ve been inside my share of yacht factories including Hatteras, Bertram and Carver. Vessels are built like houses, one step at a time. Very labor intensive, they are built, cars are assembled. So you can easily see why new yachts cost thousands of dollars to produce. Powerboats cost more than sailboats as they are more complex. Generally, yachts do not appreciate in value. But they do reach a time in their life where they do not lose any more value. Much like antique autos, the rarer a is, the more it will be in demand. An old Huckins will probably bring more money today than when it was commissioned. But vessels generally depreciate about 10% a year. So you are hunting for that 1984 40′ Monk trawler, with a single Lehman and 2 cabins. What is it worth? What is a fair price for her ? Simply speaking, that Monk is worth what you are prepared to furnish and the seller is inclined to take. So where do you start? Here is what you need to know when evaluating prices. The owner has established his asking price with discussions with his listing Broker based upon several factors. I do the aforementioned with my sellers . In what condition is the boat? Good yachts always demand higher prices, always! A newer cruiser in deficient condition will bring less than an older pleasure boat in good condition always! By condition I am speaking of both brightwork and structural issues involving tanks, rudder posts, blisters etc. The more upgrades and maintenance that has been performed, the more you should expect to pay as the owner knows this. He also knows that you will have already looked at the very old boats and have abandoned them too. How old is the yacht? See above. This factored in but is not the thing. How motivated is the seller? Many owners want to sale their boat as shortly as practical and anything nearby to an asking price may be acceptable. It doesn’t happen often but it does sometimes. How many of these 40′ boats are on the market? Recollect, the more demand for the cruiser, the higher the price will be. And I find that most customers will not travel far to buy a cruiser, so vessels in California will not be in competition with East coast boats. And lastly, and perhaps the most important issue in determining that asking price will be past sales history of related makes and models. The past sales history is accessible only to Brokers from our MLS, YachtWorld. 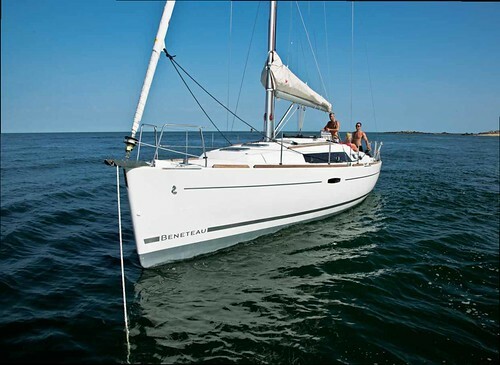 It will provide me the recent demand for this 40′ boat and at what selling prices have been in varied parts of the USA. It tells me what individuals are asking and what buyers are paying! 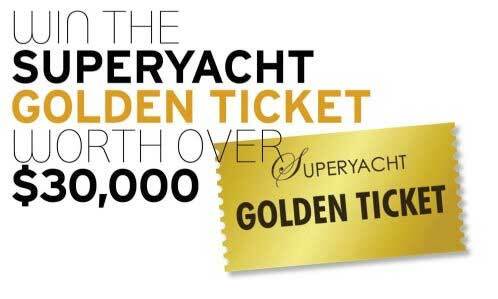 So when you are hunting for this and you have found at what seems to be a excellent yacht for $50,000.00 and all of the others are in the $85 – $100,000.00 range, there is a explanation for this. Remember, condition, condition, condition! Be watchful as gas tanks will cost you about $30,000.00 to refit, and rudder posts about $8000.00. But if you can live with the problems with the pleasure boat, then buy it. I just want you to know not to expect a problem – free pleasure boat for the low, low price; you’ll pay for what you get. So now you are thinking, are all yacht prices flexible? Certainly they are. Everything has its selling and neither the listing Broker nor the owner may know what that will be. Only a resolute buyer with money on the table will acquire that from negotiations. Mike Dickens, the author is a boat owner and Broker for Paradise Yachts in Florida USA. Paradise Yachts is a Yacht Brokerage offering used yachts to customers worldwide. Visit our website to view our selection of Used Trawlers, Motor Yachts, and Sailboats.